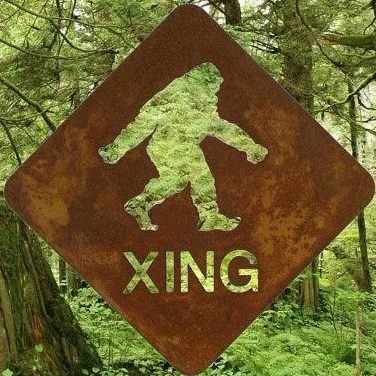 A wonderful collection of mediums and communicators channeling the Sasquatch. Many thanks for your excellent work. I’d like to run something by you if I may. I follow lot’s of channels that cover Sasquatch topics but the link below was interesting in a whole different way. This fellow is a professional hunting guide, very colorful and direct. He has strong human emotions, often is very funny and obviously loves the whole outdoor environmental subject deeply. I have challenged him in the past about the whole concept of “game animals” for trophies. I’m not a hunter and honestly don’t share the thrill they have, but at the same time don’t judge them per se. Hunting for food is understandable but somehow leading people for money seems different. I tried to probe this a bit and got no where, then just backed off. However in view of your post about the telepathic contact you had with the white wolf, there are two other videos he has put out recently about wolves that are very compelling. Here they are. Clearly he cares deeply about this subject and is not taking a superficial approach. I don’t claim to have any answers for the questions he poses yet somehow that ethical dilemma is still there. Out of curiosity I tried to dialogue telepathically with the Sasquatch about this. I sensed they also rejected the paradigm of guiding people into the wilderness for “hunting experiences” and the ego centric view of life this represents. Have you raised this issue with them? I’m curious as to whether you have any feeling about this as well as the larger dilemma that he expresses in the two wolf videos.